Puppies are known for their boundless energy – and there’s no doubt you’ll experience the same! – but what is often overlooked is that puppies tend to need plenty of sleep too. A mature dog will sleep for between 12 and 14 hours a day, but for puppies, their sleeping pattern is more akin to cats; around 18 to 20 hours of sleep is entirely normal. 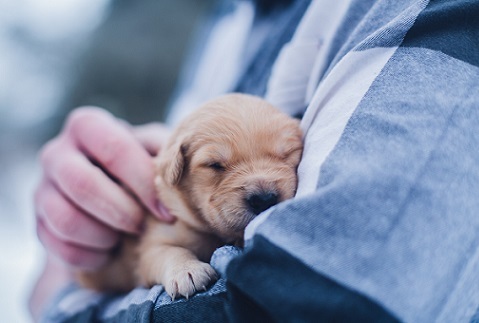 By the age of two months, most puppies should be able to understand basic training commands such as “sit” and “stay” – which is far sooner than most new puppy owners expect. It’s usually best to wait until your puppy is around six months before attending formal dog training classes, but you can make a great start at home while your puppy is still relatively young – keep it simple, go slowly, and stick to the basics to ensure your pup doesn’t get overwhelmed.